Imagine you could go anywhere, meet anyone and do anything. Where would you live? Where would you sleep? Who would be your friends? What games would you play? Go on! You choose! 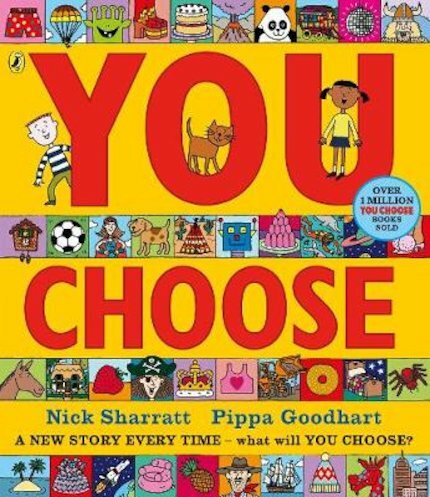 In this classic picture book, you’ll get to explore heaps of situations where YOU get to make fun choices. Each time you read the story, it’ll be different – because you’ll choose new things! Seaside, forest or volcano. Pirates, aliens, fairies or robots. Skiing, bungee-jumping or surfing. What will you choose this time?